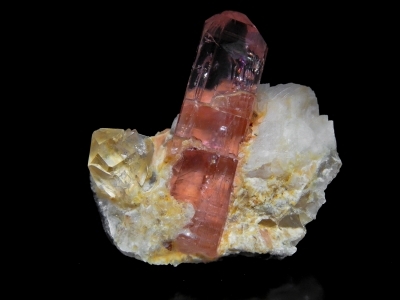 Beautiful pink Topaz. 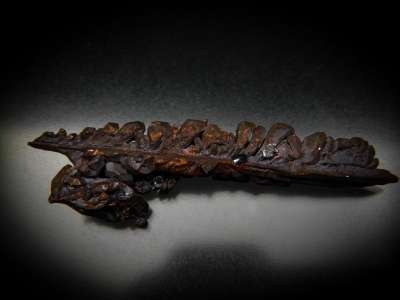 Gemmy top with perfect complex termination. 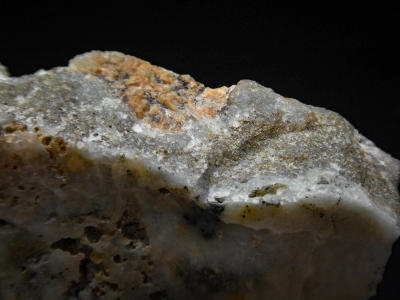 Natural fractures but no repairs. 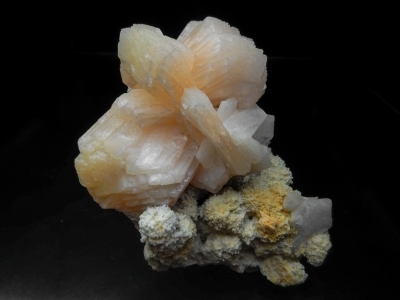 2.4 cm Wulfenite crystal from classic Red Cloud locality. 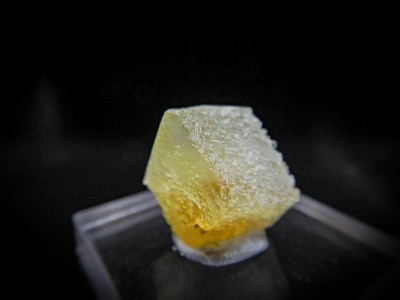 360 degree crystal with only a small spot on the base where it was attached to a matrix (nearly a floater). 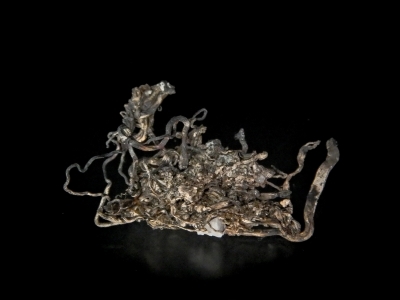 An asthetic group of variably sized Silver wires. 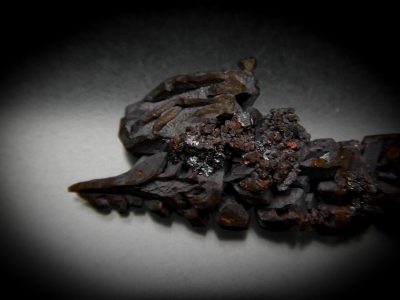 Epimorphs like this are some of the most unusual I've ever seen. 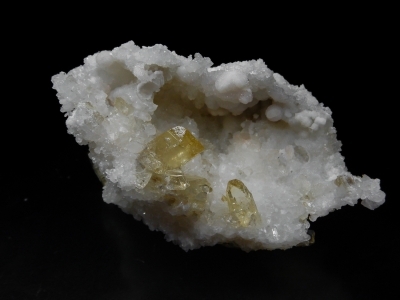 The cast is formed by a mix of sphalerite and siderite, while the original calcite crystal is completely etched away. 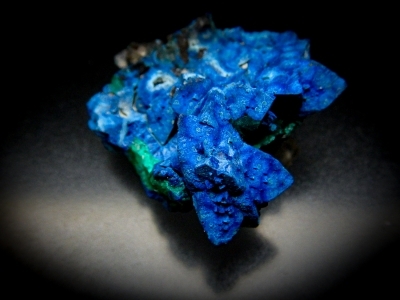 Shattuckite psuedomorphong calcite in the form of interpenetrant twinned calcite crystals. 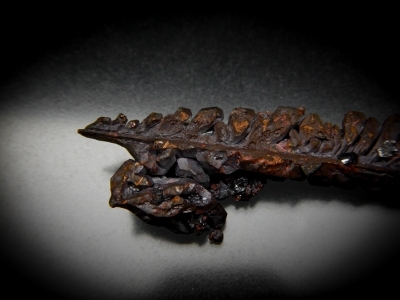 Sharp, heavy, spinel twinned crystal with great patina. 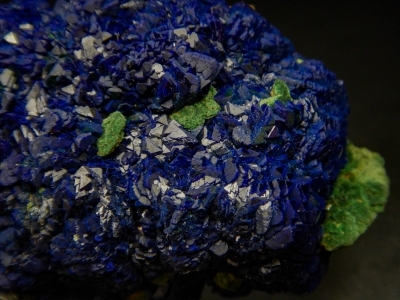 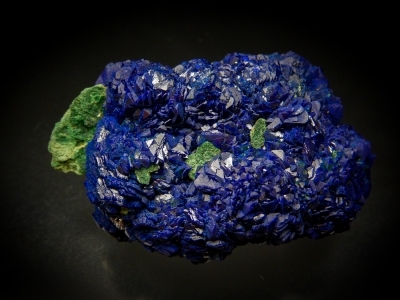 A good example of rounded masses of azurite crystals with fine grained malachite from the classic utah loacality. 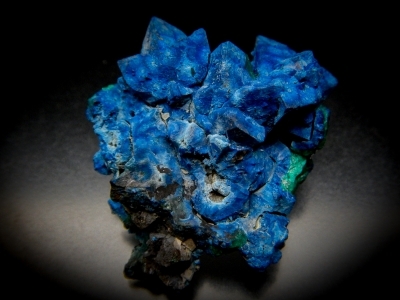 An incredibly rich vein section from the Manhattan district of Nevada. 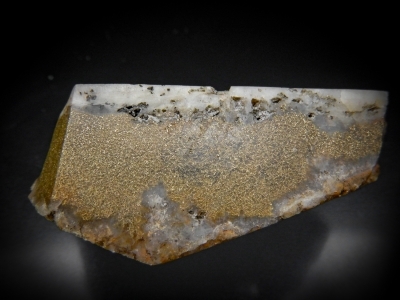 All but 3 surfaces have been sawn and partially polished, showing off the gold. 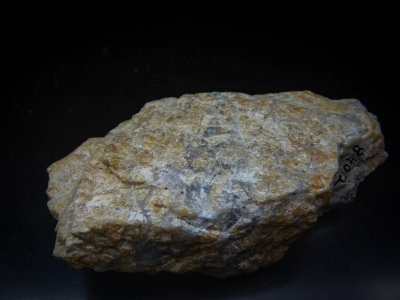 Total weight is 119 grams, and the specimen could easily be 50% gold by weight. 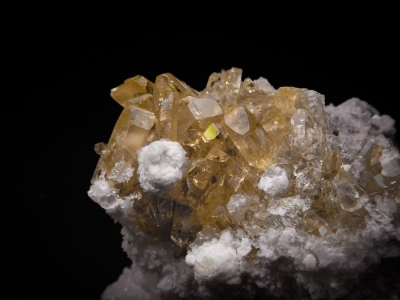 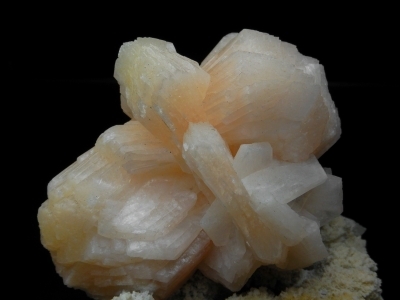 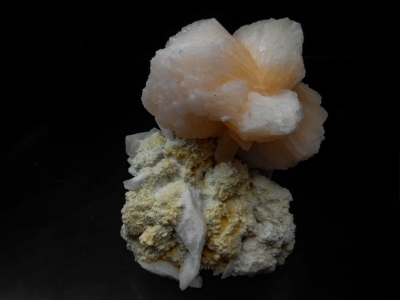 A large stilbite bowtie asthetically perched on matrix. 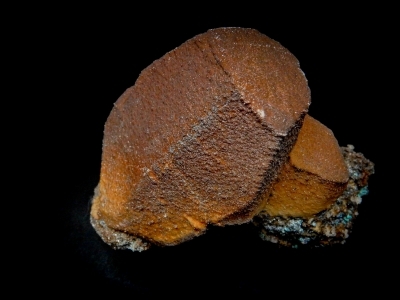 High grade tungsten ore from an unusual locality in central Nevada. 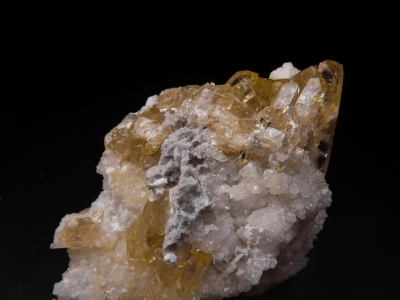 Exceptionally transparent and light golden colored barite from the small exploration decline. 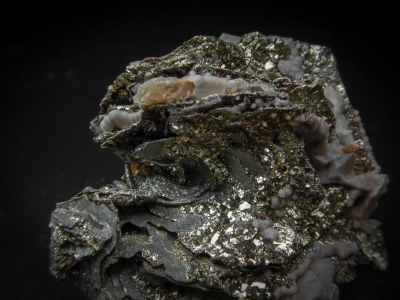 Unusually large pyrrhotite crystal pseudomorphing to pyrite. 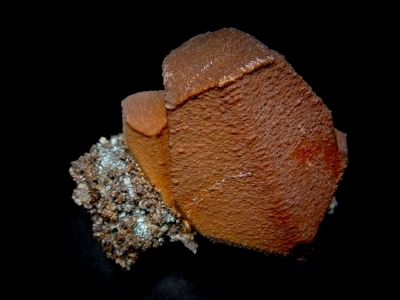 Small isolated crystals on a fracture surface. 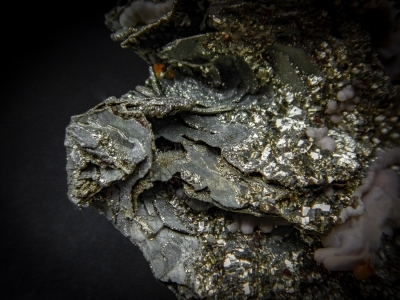 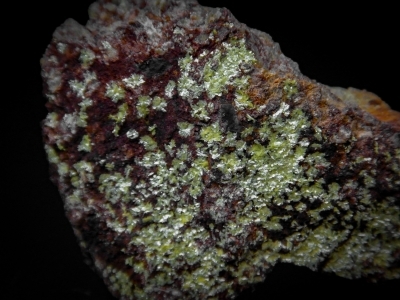 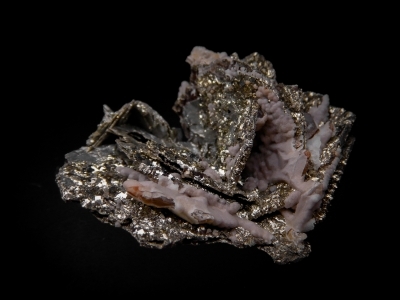 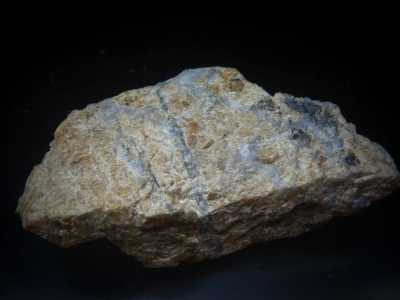 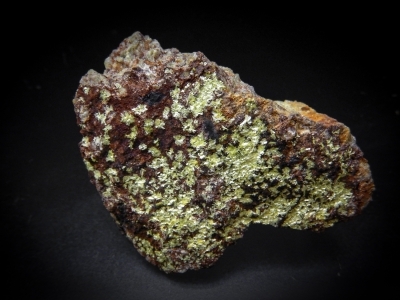 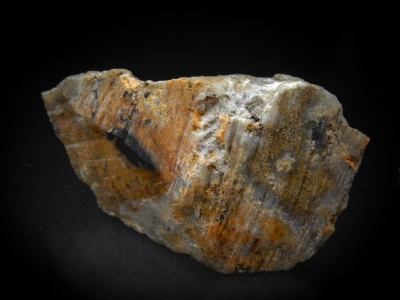 This uncommon uranium bearing phosphate was found in the Apex mine on the west flank of the Toiyabe Range in Nevada. 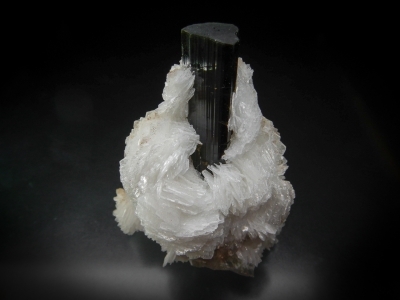 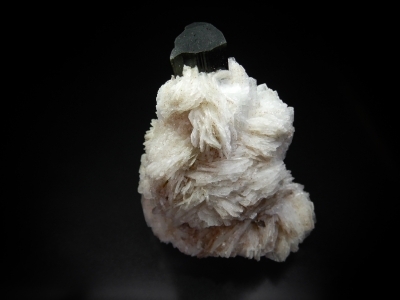 A dark green Elbaite crystal nested by bladed white albite crystals. 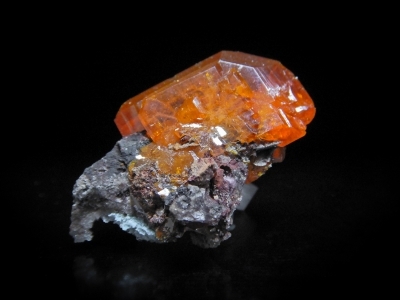 Tiny garnets preferentially occur on the back side of the Elbaite crystal.